At CMS Racing, we are venturing out more with our games, and in particular rFactor 2, as it is being more developed and becoming more stable with suitable content to run some racing series now, we have decided to get this off the ground and start out with a brand new Nissan Cup 2013, it promises to be a exciting series for CMS and all it's competitors. we're be putting our pedal to the metal with this series as we will not be running Traction Control or other aids apart from the standard auto clutch aid in our leagues. Are you up for the task? it's not just about driving but taming these beasts around tracks that will test you to the limit, it's not just about keeping it on track or worrying about tires, pit strategy and weather will be a big decider in this league, are you ready for the ultimate test on rFactor 2? oh and not to mention it's with 20+ drivers you're battling with! Check out the details below, this league will be run on Saturday's. Race format: 225 km / 139 US miles (Rounded up to the next number of laps). On slower tracks distance might be reduced. Skins: No custom teams, but build in custom skin transfer can be used within rFactor 2. Since rF2 is a developing platform, only the tracks for the two first races ave been chosen. It means vmod files will be published as we move along and update the schedule as the season goes. 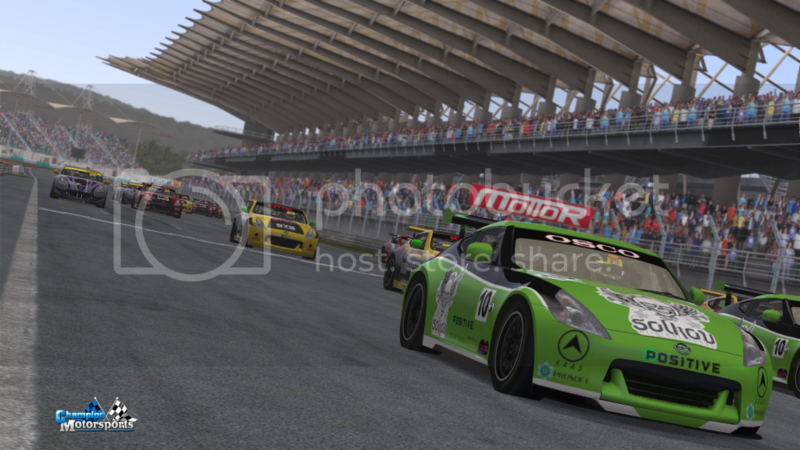 Car: Nissan 370z v1,43; Tracks: Malaysia v1.42 and Portugal v1.43. Edited by davidan, Jul 20 2013 - 07:45 AM. Show Your Interest In The Possibility Of New Historical Simulator!